The turn of a page and a new month arrives. For those of us who live in certain territories, we’ve either “gained” or lost an hour in our day (how is that, truly, possible?). Leaves turn golden, brilliant red, shades of vermillion and, then, drop resolutely to the damp earth. Nature taking itself back into Nature – circles within circles. As someone I know, often, says – “These are the days of the long shadows.” Sunsets are more intense, as if to linger just a moment or two longer. There’s a typical New England chill in the air that signals migrations, harvests, a kind of gathering together that, most likely, harkens back to archaic, atavistic times. Today is, also, All Saints Day, a celebration of all saints, known and unknown – preceded by Halloween and followed by Day of the Dead (Dia de Muertos). These, too, are ancient, atavistic, deeply-held, socio-religious ceremonies. All of this speaks to me in a language of smoldering embers, after the heat and brilliance of Summer. There’s a kind of “dampening down” at this time of year here. Perhaps that’s why Rumi’s quote holds a certain meaning. If it’s true that there’s beauty in everything, even this “dying down” and celebrating saints and Spirits is mysterious and exciting. This is a kind of “call” that ignites me. As I move through each day, there’s a singular sweetness because of the drying hydrangeas outside my window, the pungent leaf mold from the cut back urban garden, picking the last of the tomatoes, hearing the migrating calls of flocks of geese heading south, remembering other places, other people. 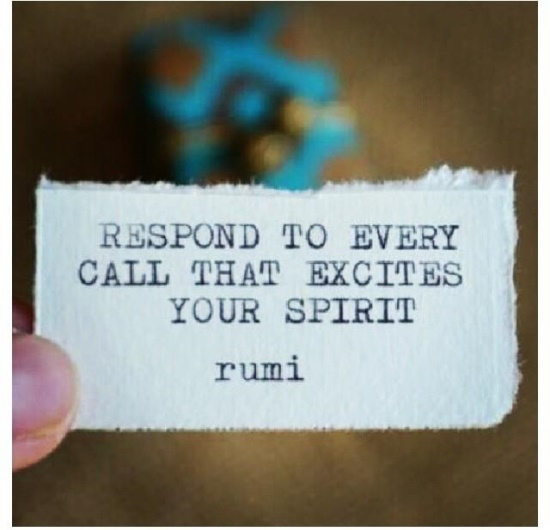 I hear Rumi’s call to respond to that which excites me, transcending apparent barriers of time and space. This entry was posted in New and tagged All Saints Day, archaic, atavistic, Day of the Dead, Dia de Muertos, essay, Fall, Halloween, harvest, JessanDunnOtis, migration, mysterious, Nature, New England, November, Providence, quote, Rhode Island, Rumi, Spirit, writer on November 1, 2015 by Jessan Dunn Otis | Writer.